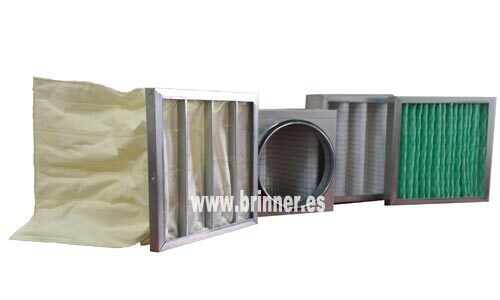 In BRINNER we put at your disposal, a wide range of filters in different dimensions, efficiency and types to meet your filtration needs in their sheet metal ducts. FILTERS WITH METAL FRAME AND FOLDED MESH: In various dimensions and thicknesses as well as efficiencies (G4, M5, M6, F7, F8 and F9). 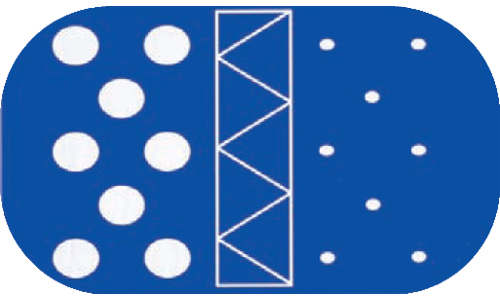 FILTERS WITH METAL FRAME AND SYNTHETIC BAGS: Available in various combinations of dimensions, with the possibility of different numbers of synthetic bags for each necessary efficiency (G4, M5, M6, F7, F8 and F9). FILTERING BOXES: Of various dimensions, diameters and lengths. G4 FILTERS FOR CIRCULAR DUCTS: Up to 500 mm in diameter. FAT RETENTION FILTERS: Manufactured in 490x490x48 mm stainless steel frames.